The home uses energy-saving techniques, and it features salvage objects with personal meaning. Stair rails are made of cable from a ski lift that Wells operated as a teen. A chair from the lift is suspended in the front entry. Wells also tried his hand at shou sugi ban, the traditional Japanese practice of scorching cedar to bring out its oils and make the wood resistant to rot, pests, fire, and water. He used shou sugi ban on the front and rear elevations of the house (below), on the front door, and on the side door of the detached garage (at left). That garage stores outdoor gear and will soon house a climbing wall for Wells’ daughters to practice rock climbing. 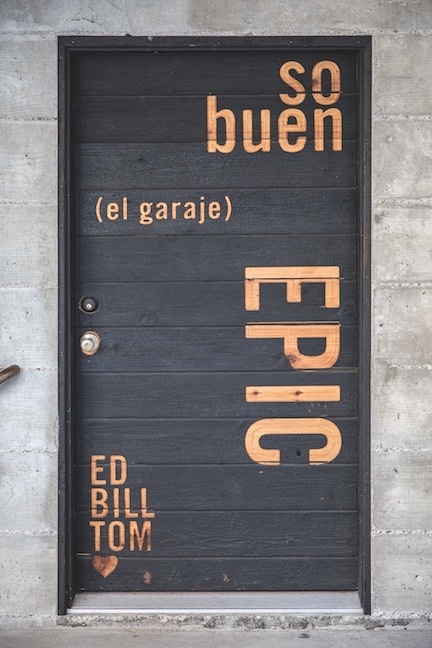 The door bears the nicknames of the three girls (Eddie Olivia, Billie Elouise, and Tommie Lorraine); Spanglish for “so good”; and the word “epic” (“that one is self-explanatory,” Wells says). Wells’ wife, Amy, an artist and designer, typeset the design, sent the file to a computer numerical control (CNC) machine, and the charred door was brought to a local vendor to have the words carved through the burn layer. 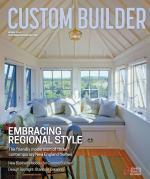 The tongue-and-groove red cedar panels were then taken apart for transport and reassembled on site. Comments on: "Design Details: Feel The Burn"